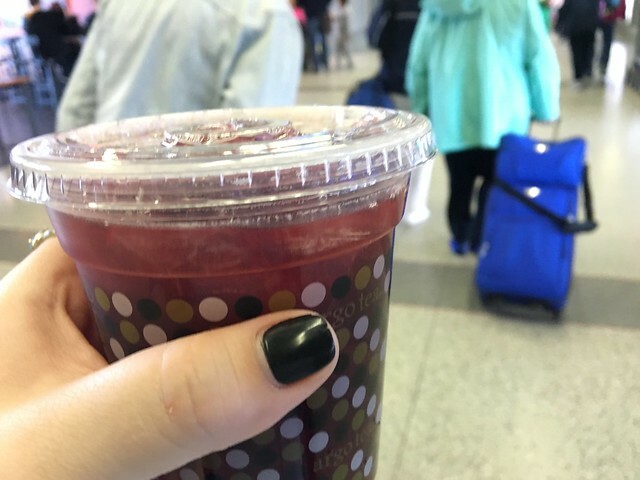 A good friend of mine mentioned Argo Tea when he knew I was heading to Chicago. 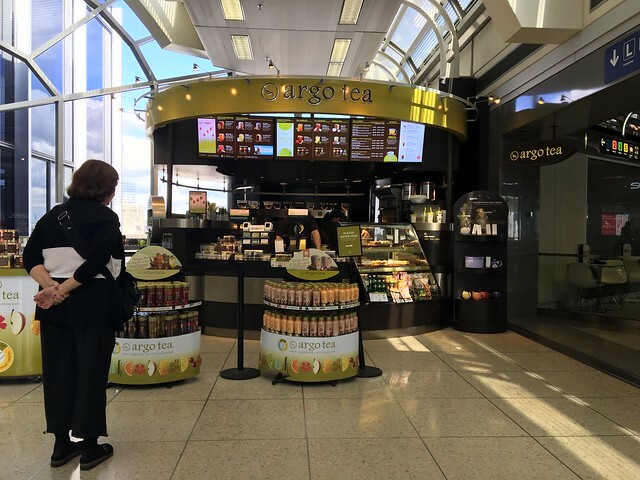 I didn't happen to see any Argo Tea locations during my time in the city, but when we were heading back home, it appeared. After getting through (kinda tedious) security, this Argo Tea stand was like this sparkling beacon of happy that was calling my name. I really don't drink much tea, so I stood in front of the menu for a bit trying to get my bearings. I ultimately setting on a Hibiscus Tea Sangria, which is a sparkling tea with hibiscus flowers and medley of fruits. I can easily say this is the tastiest tea I've ever had, and now I may be a tea convert. Sweet - but not too sweet - and floral and just crazy refreshing. Perfect for the long day of traveling that was ahead of me.